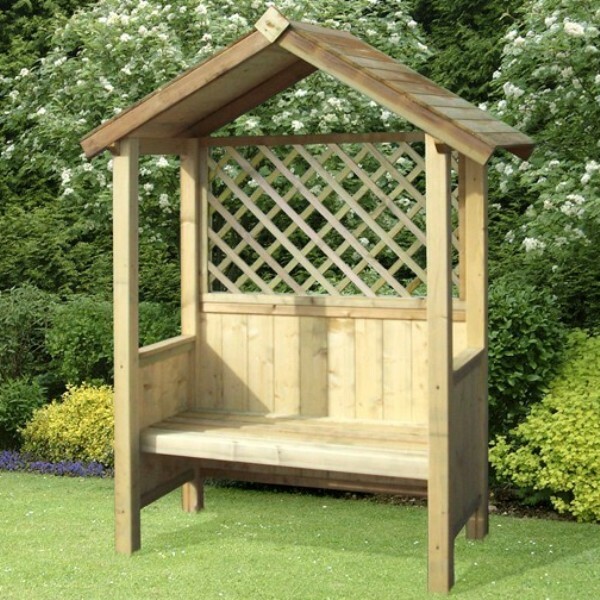 The Artemis Arbour from Storemore utilises a premium tongue and groove bench and roof along with beautiful diamond lattice trellis above the back of the seat to create a stunning feature. 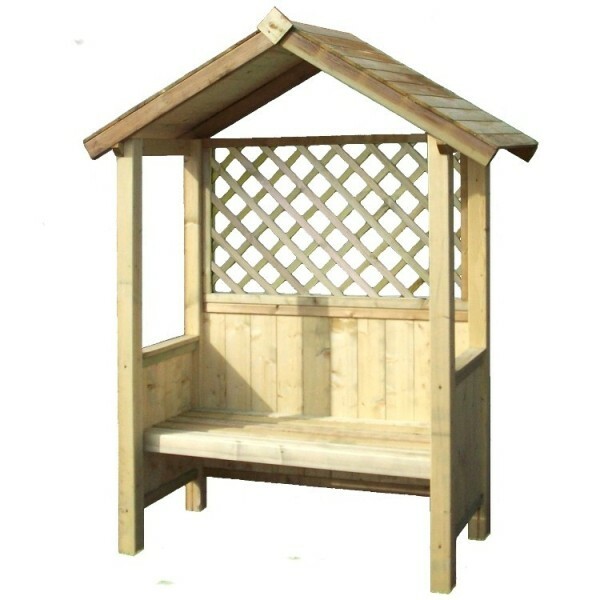 The solid bench seat is large enough to fit two comfortably and has the added benefit of open sides, so you can enjoy a complete view of your garden when relaxing. Crafted from high quality pressure treated timber, there is no annual maintenance required and the wood has a 7 year anti-rot guarantee. 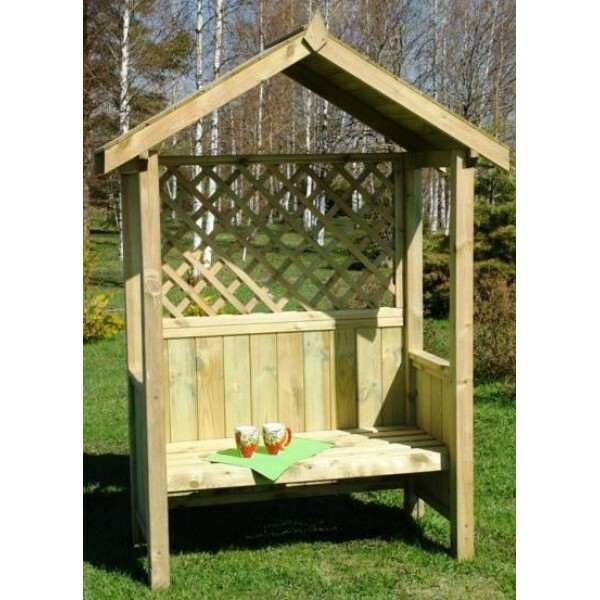 Ideal for training climbing plants, the diamond trellis allows for some privacy and along with the boarded roof will offer some protection from direct sunlight. 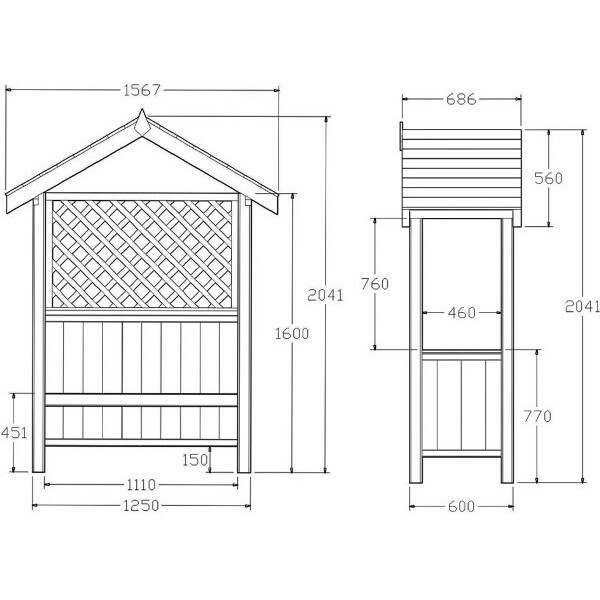 Some home assembly required.